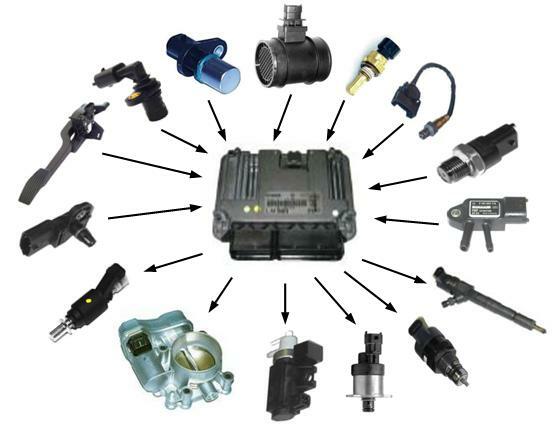 A two day vehicle electrics training course covering components diagnostics for the multitude of sensors and actuators used in engine management and other vehicle electronic systems. Following on from Vehicle Electrics Module 2 – Fault Finding Techniques, the course is aimed at mechanics, technicians and apprentices working in the motor industry who want to progress their knowledge and fault finding skills. The course explains how electrical components work and how to test them properly using digital multimeters, test instruments, oscilloscopes and diagnostic scan tools in conjunction with available technical information including Autodata and Hella Gutman HGS data. During the course, you will learn how electrical components and their circuits work, how to evaluate fault symptoms, interpret diagnostic trouble codes and analyse live data. You will understand factors affecting sensor outputs, learn how to check sensor signal plausibility and prove actuator functionality. You will put into practice what you have learnt to diagnose selective faulty components on live vehicles using available diagnostic tools, wiring diagrams and technical data. At the start of the course, you will receive a fully illustrated set of course notes. By the end of the course, you will understand and be able to put into practice test routines and disciplines that will save you time and effort when diagnosing electrical components on your customer’s vehicles. Assessment is on going throughout the course and the course has a Certificate of Professional Development from AK Automotive in recognition of your attendance. Candidates must have a motor industry or other relevant technical background (eg. ex R.E.M.E). They should have a thorough understanding of electrical theory, be competent with use of digital multimeter, oscilloscope and diagnostic equipment and be able to read wiring diagrams. Those with little electrical experience would benefit from attending Vehicle electrical principles and Vehicle electrical fault finding techniques before attempting this course.